Stop in to today and find out what it’s really like to be appreciated! The Basil Resale South family thanks you for giving us the opportunity to show you what the Basil Difference is all about! Our commitment to our customers means that every customer that walks through the door will be treated like family. Select from our online inventory or have a sales representative walk you through our showroom and find just what you’re looking for! Our expert sales and finance teams will make sure that your used car buying experience will be fast, easy, and enjoyable! Come visit us today and we’ll show you why used car buyers and drivers across the greater Buffalo, Lackawanna and Orchard Park areas choose Basil Resale South! 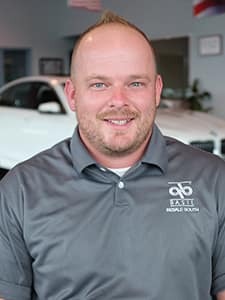 Basil Resale South is a full service premier used car dealership which means not only are we committed to making your buying experience easy and enjoyable, but we also make sure your use vehicle ownership experience is the best with our trustworthy service center. With our online scheduling service and vehicle repair updates, servicing your car has never been more transparent or convenient! The Basil Family Dealerships have been committed to customer satisfaction for over 65 years now, and it’s our values to always make the customer feel like part of the family that makes us the #1 family owned dealership throughout Western New York. Basil Resale South will make sure you find the used car, SUV, or truck of your dreams, at the price you can afford. We know your time is valuable which is why at Basil Resale South you can search our inventory and request a free, non-committal quote before ever stepping foot in the dealership. If you have any inquiries at all we invite you to please contact us or visit our Buffalo, NY Location and we will help you find just what you’re looking for! Welcome to Basil Resale Online Used Car Center. I would like to personally thank you for visiting our website and giving us an opportunity to serve your automotive sales and service needs. Our commitment to our customers is exceeded by our goal to be the easiest place to purchase or lease a car. Our philosophy is to have warm, friendly, and honest relations with each and every person who walks through our doors. It is my personal philosophy that I need to be available and accessible to customers for continued guaranteed satisfaction.